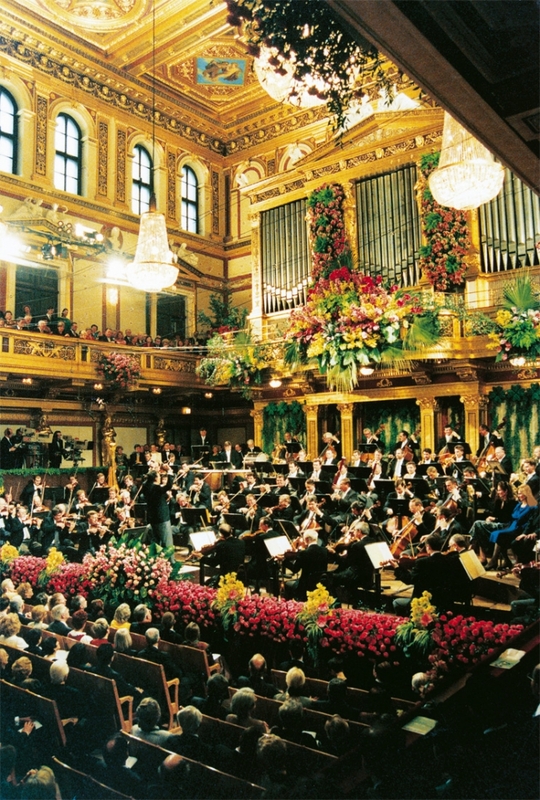 Inspired by the famous New Year’s concert performed and sold out for more than 70 years by the Vienna Philharmonic Orchestra in the Musikverein Concert Hall in Vienna, Salute to Vienna is fast becoming North America’s favorite New Year’s tradition. The magic of Vienna’s New Year’s concert is shared via television with a worldwide audience in excess of a billion viewers each year. 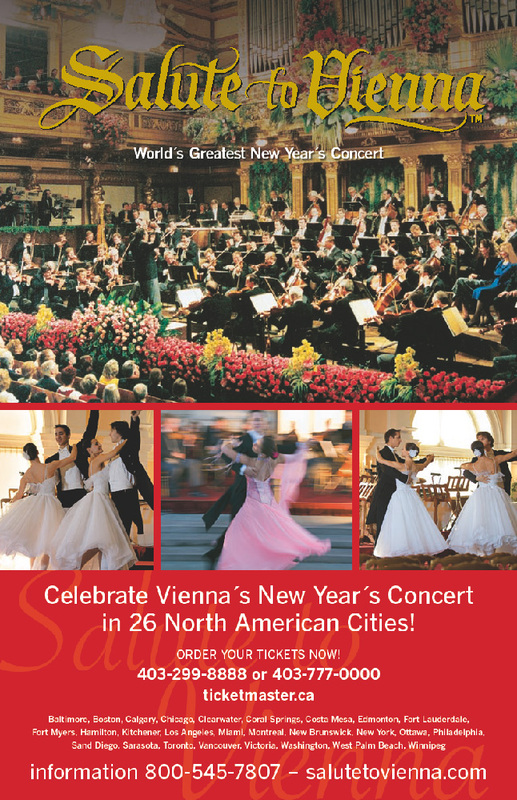 North Americans now have the opportunity to experience a Salute to Vienna live and in person, which is the only genuine re-creation in the United States and Canada of its Viennese sister and is officially recognized by the Mayor of Vienna as an authentic Viennese New Year’s celebration. Enjoy the music of Vienna’s ‘Waltz King’, Johann Strauss Jr., in an unforgettable and uplifting performance of music, song and dance! Once again, Salute to Vienna will feature an astounding cast including a renowned European maestro leading the full Strauss Symphony of America, an acclaimed soprano and tenor, and beautifully Costumed dancers performing the Viennese waltz on stage. What Nutcracker is to Christmas, Salute to Vienna is to the New Year!